I hope that you had a great week and that you have some fun planned for the next couple of days. I am *SO CLOSE* to being finished getting my pantry in order, and hope to knock that out today. Tomorrow is the Super Bowl! What are you planning to eat? I have a sudden craving for Rice Krispie treats; I may have to sneak those in if I have time! 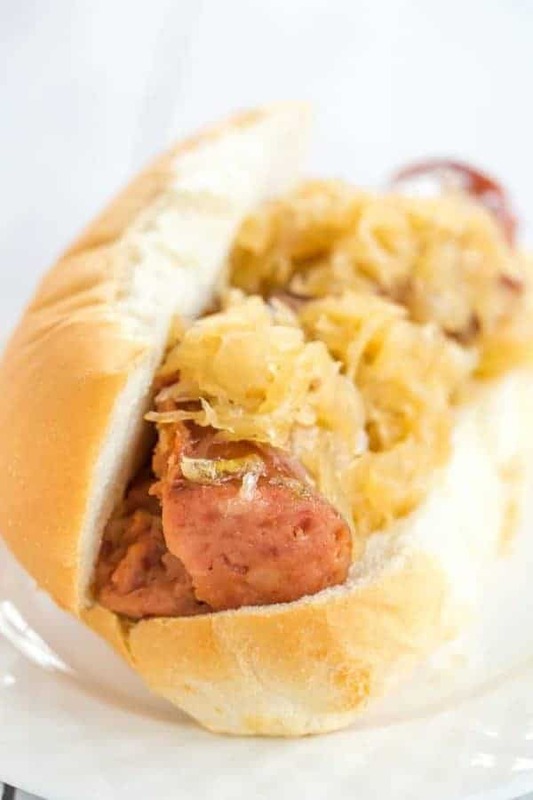 Slow Cooker Kielbasa and Sauerkraut with Beer & Brown Sugar – This slow cooker kielbasa and sauerkraut is flavorful and made with just the addition of beer and brown sugar – easy, delicious and perfect for parties! 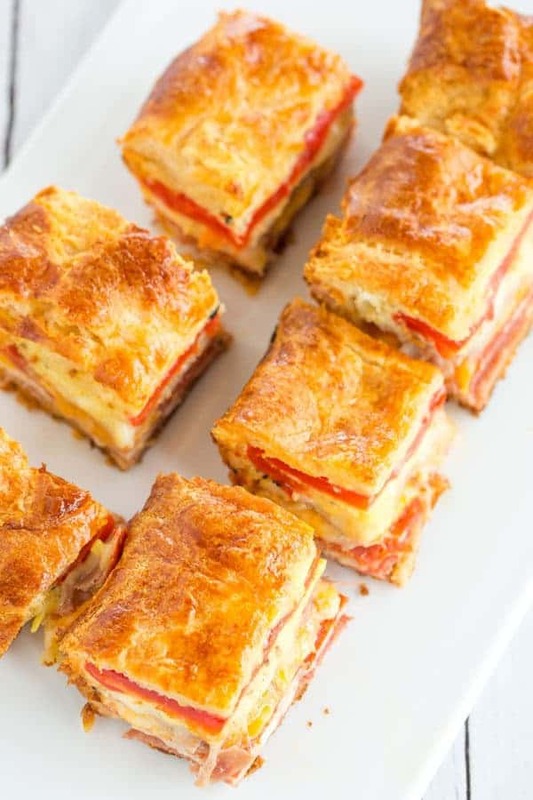 Antipasto Appetizer Squares – This easy antipasto appetizer bake features layers of Italian meats and cheese, sandwiched between layers of crescent dough. Great for parties! 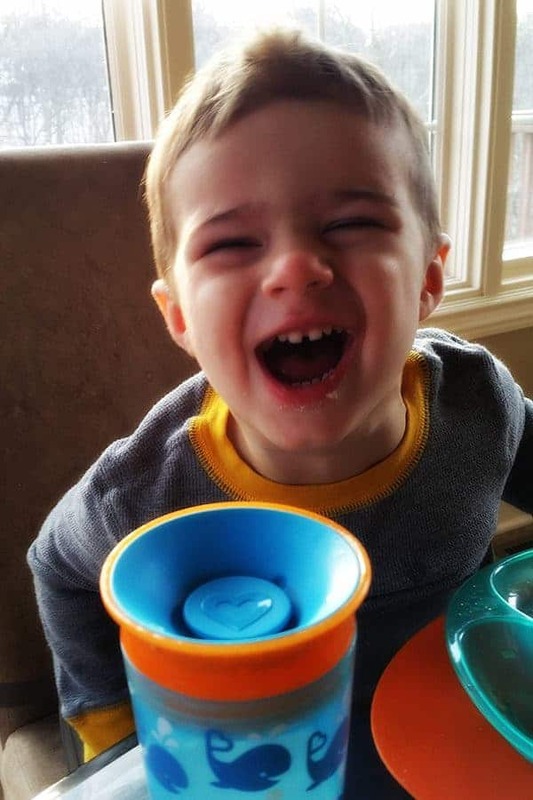 Dill Pickle Dip – A must for any pickle fan! 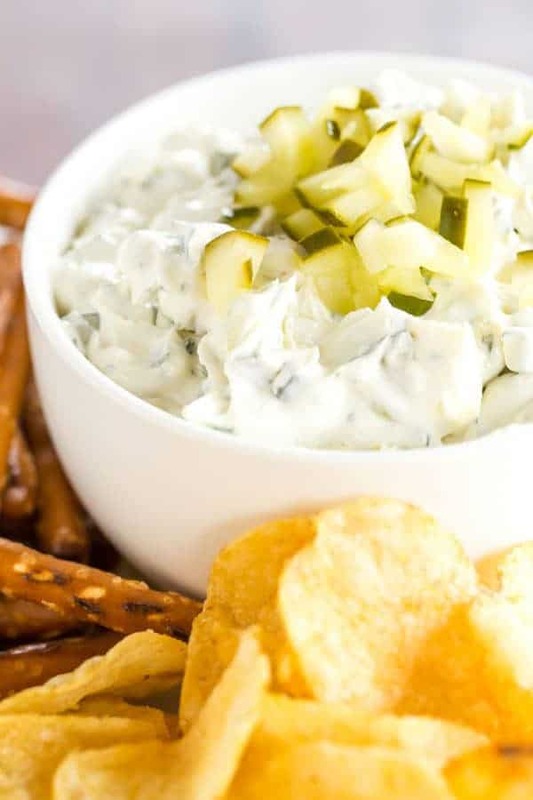 Loads of pickle and dill flavor and it’s perfect for dipping pretzels, chips, crackers, or veggies. My father-in-law’s birthday was on Friday, so I had him pick our menu! I am 100% positive that these Swedish meatballs would put IKEA’s to shame. If Joseph is ever cleared of his peanut allergy, these loaded peanut butter monster cookie bars will be the very first thing I make. The chocolate layer on this Boston cream pie icebox cake takes my grandma’s icebox cake to the next level! Peach chipotle chicken wings would be perfect for your Super Bowl party. The best chocolate chip cookie cake? I’m willing to eat as many as necessary to reach a scientific conclusion! 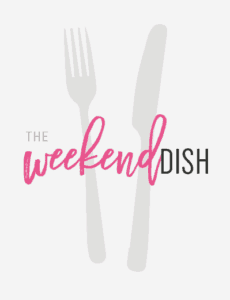 Two days too late on the brat and spicy beef queso dip recipes…! I’ll have to give those a try soon. Those peanut butter monster cookie bars are amazing!!! So much yum in a pan. Thanks for sharing my cookie cake! I hope you have a great weekend! Oh look at that chocolate chip cookie cake. I want!